Three new partner appointments have been made at García & Bodán, involving two of its offices in the region, bolstering the tax, intellectual property and energy and natural resources practice areas. Melvin Estrada is director of the tax practice of the firm. He is highly experienced in general tax legislation matters, representing both national and foreign companies before de Tax Administration and Custom Service of Nicaragua. Estrada has focused his expertise in strategy and tax planning, elaboration of tax opinions, negotiations with tax authorities, representation in administrative and judicial procedures for the tax payer, as well as in interest groups for the analysis of legislation and proposed amendments to the tax laws of the country. Graciela Cruz is sub-director of intellectual property at the firm. She has extensive experience in intellectual property, industrial property and sanitary regulation. In addition, Cruz has developed a capacitation process through embassies and several chambers of commerce for entrepreneurs with an interest in expanding to Central America. 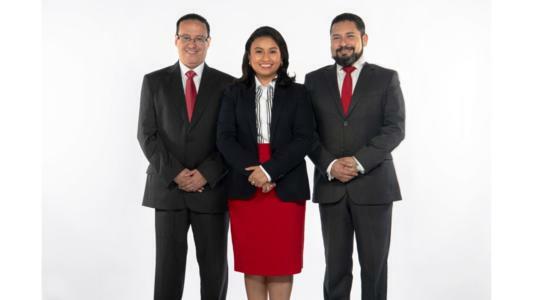 Godofredo Siercke is regional director of the energy and natural resources practice of the firm and a member of the corporate and transactional practice in Honduras. With over 20 years’ experience, Siercke advises in several syndicated loans, trusts guarantee in various public-private partnerships in the country.